Firstly, ensure that the QL-820NBW printer is connected to Bluetooth, see the brother support article here for more information on how to connect the printer to Bluetooth. 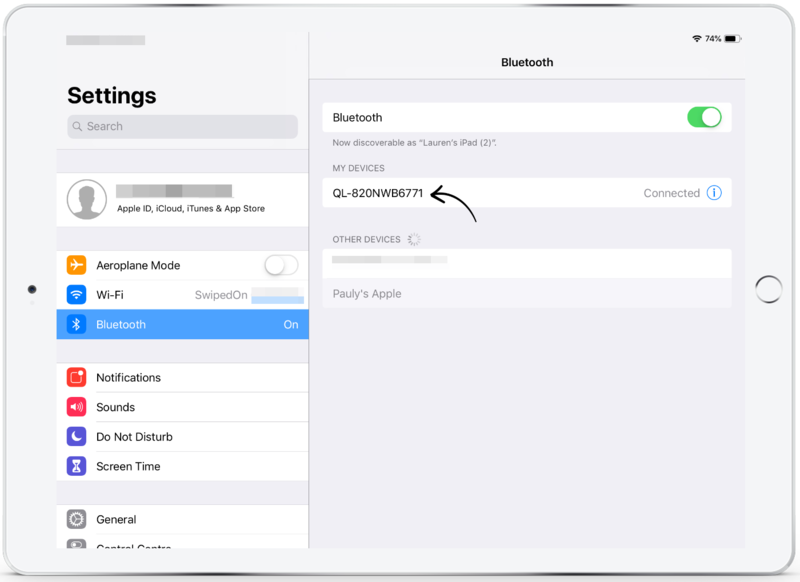 Then, follow the below steps to connect the printer to the iPad's Bluetooth. Tap 'Bluetooth' and toggle Bluetooth 'On' if it isn't currently enabled. Tap on the QL-820NBW printer and ensure it shows 'Connected'. 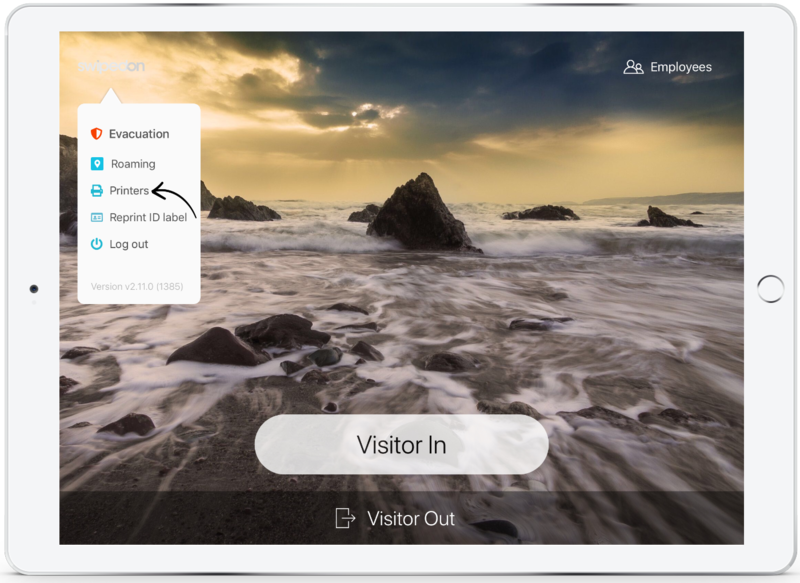 Open the hidden menu by tapping 3 times on the SwipedOn logo in the top left of your SwipedOn home page then select ‘Printers’. Tap on Bluetooth and the printer should now be showing as displayed below. Tap on the printer and it should appear as 'Connected'. 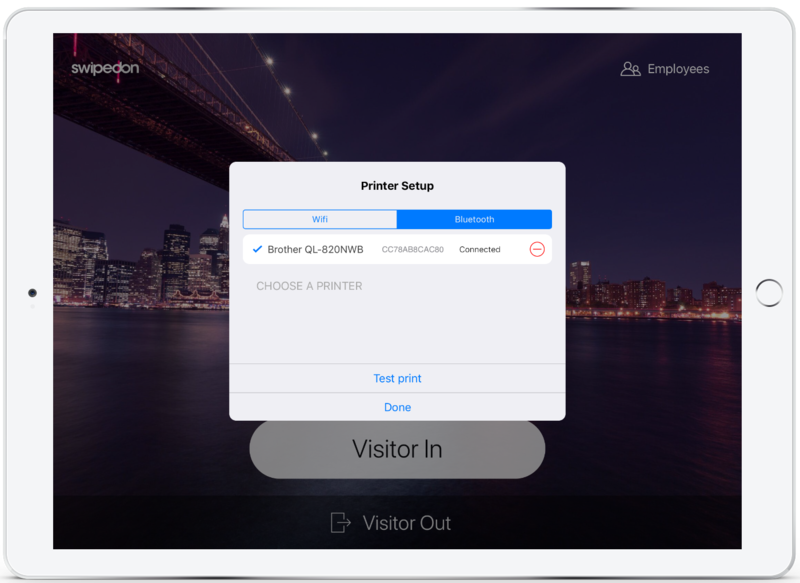 Once the printer is showing as connected, tap on test print to confirm the printer successfully prints an ID badge and then tap 'Done' to exit the printer setup menu.